Where to access a Yellow Fever vaccine? If you are in Brisbane – Online bookings here, email appointment requests here. The nature of the Yellow Fever vaccine makes it critically important that the staff administering the vaccine are well versed in its use, especially who can and cannot have the vaccine safely. Clinics need to have all the right equipment and knowledge to safely deal with side effects. 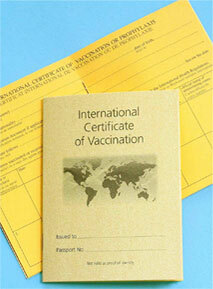 In many countries, Yellow Fever vaccine is only given by authorized doctors who have undertaken extra training. In Australia, this is not the case, merely having the licence to give yellow fever vaccine does not mean the doctor has any special expertise in its use. Dr Deb The Travel Doctor – all the doctors have formal qualifications in travel medicine and expertise in Yellow Fever Vaccine. Cost is $79 for the yellow fever vaccine, plus $90 for the average doctor’s consultation ( some of this consultation fee can be claimed from medicare ). The doctor will discuss the Yellow Fever vaccine and the other travel health issues that are relevant, so you will be well prepared for your journey. More information on Dr Deb’s clinics can be found here. Dr Deb’s clinic is one of the founding members of the Travel Medicine Alliance. If you need to access a travel medicine clinic outside Brisbane, we can recommend our colleagues in the Travel Medicine Alliance. There are offices in many parts of Australia. The members of the Travel Medicine Alliance have all demonstrated a commitment to travel medicine by taking extra courses and study in the area of travel medicine. Visit the website at www.travelmedicine.com.au for a map of where clinics are located and all their contact details, or you can phone 1300 42 11 42 , and you will be diverted to your nearest clinic. For those outside Australia go here for a global clinic finder. How long does yellow fever vaccine last?